This is our latest product---warm heating bed. We can manufacture many colors according to your requirements. Nowadays, health care been a hot topic in our life. A good sleep can give us a vigorous day.This product can help you enjoy a wonderful life. Meanwhile, if you want to develop a project of CNC Aluminum Parts, Auto Spare Parts, Mould For Air Purifier, Alarming Product,Stamping Mould,etc.,We can provide you one stop services. Meanwhile, we can provide DIY according to your willing and provide OEM, PCB Design, Software&Firmware Design, Injection Molding, Prototype, CNC Manchine service to all buyers around the world. We are an ISO9001:2008 & ISO1400:2004 companyIf you are interested in our product, pls contact us, our website :www.topwellspring.com. we have an excellent team of specialists and undergraduates and advanced engineers, R&D department has 3 ID, 6 MD, and 50 engineers, the department of mould manufacturing, 120 professional mould makers Over 60 serts injection moulding machine, Makino, Mikron, Charmille mould make machine. We provide OEM, PCB Design, Software&Firmware Design, Injection Molding, Prototype, CNC Manchine service to all buyers around the world. We are an ISO9001:2008 & ISO1400:2004 company. Any design and requirement from buyers will be welcomed. Address:No 16th, Xihutang Road, Pingdong Village, Pingdi Town, Longgang District, Shenzhen, China. 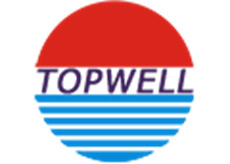 Shenzhen Topwell Technology is located in Shenzhen, mainland China, and is specialized in manufacturing injection moulds (OEM). Our operations run in accordance to ISO 9001, ISO/TS 16949 and ISO 14001 guidelines, we also employ experienced and professional team. Thus with such advantages, our products are exported to many countries and regions all over the world, especially in Western Europe, and enjoy a good reputation among our customers. We welcome customers, business associates and friends worldwide to contact us and seek cooperation for mutual benefits. Contact us today. Looking for ideal Water Heating Bed Manufacturer & supplier ? We have a wide selection at great prices to help you get creative. All the Plumbing Bed For Health are quality guaranteed. We are China Origin Factory of Health Care Water Heating Bed. If you have any question, please feel free to contact us.